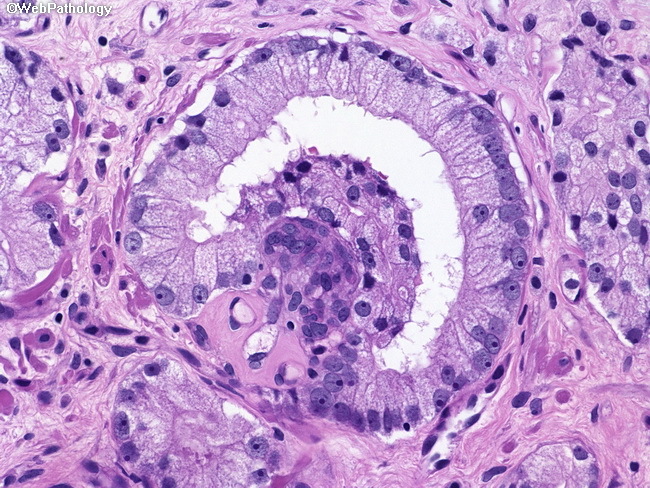 Glomerulations are an architectural feature that are usually associated with carcinoma in a prostate needle biopsy. Similar structures may rarely be seen in benign prostate glands. They consist of an aggregate of tumor cells that projects into the lumen of a larger malignant gland creating a superficial resemblance to a renal glomerulus.